Latour, Marie. 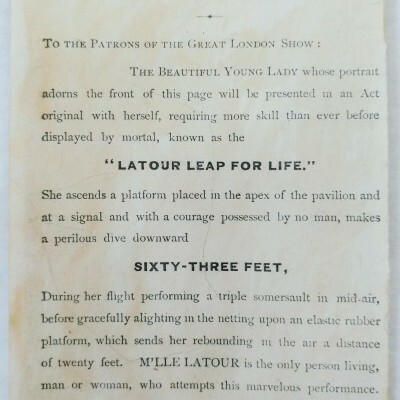 The Great Latour Leap for Life. N.p. [London? 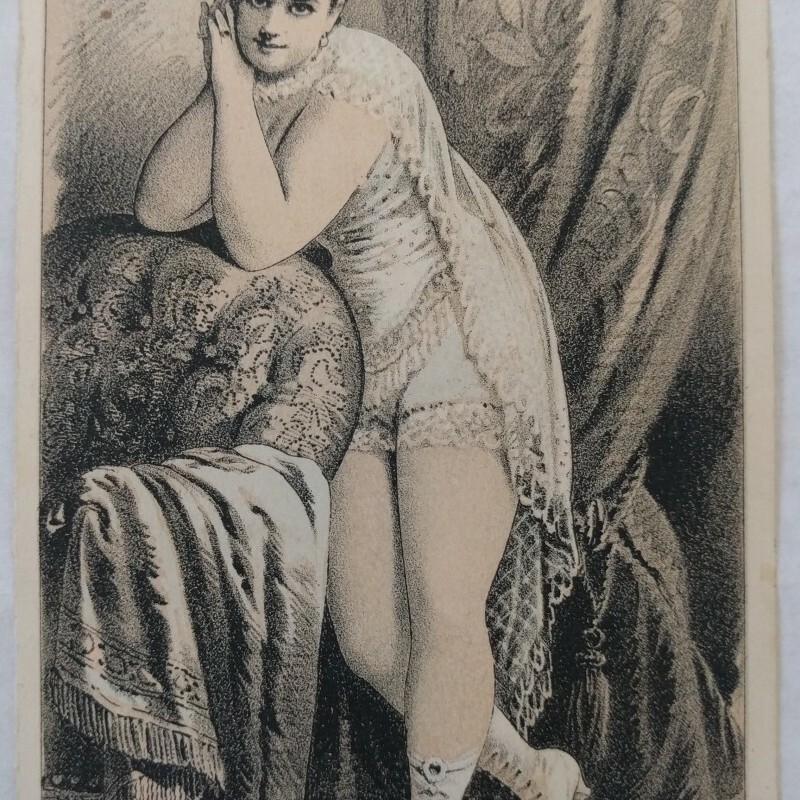 ], n.d. Trade card: 5-1/8 x 3-1/4 in. ; minor wear, left edge sl. trimmed?, else very good.